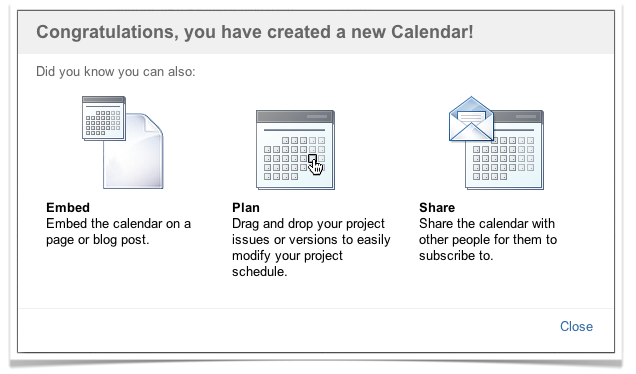 The Atlassian Team Calendars team is pleased to announce the release of Team Calendars 2.0. 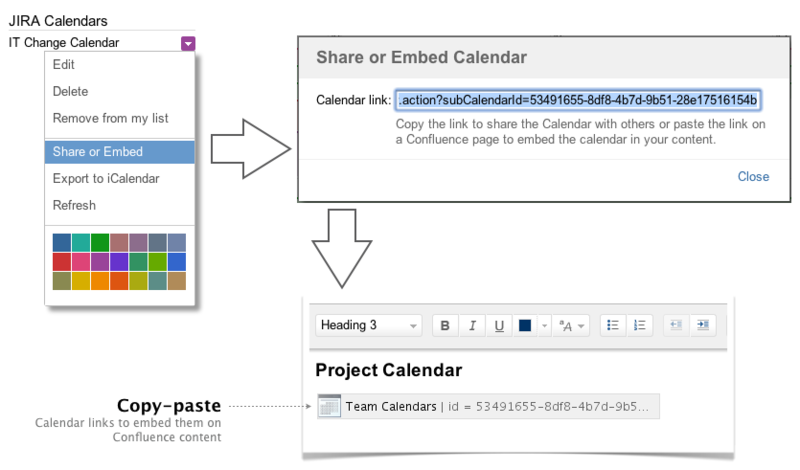 This release enables you to plan and schedule your JIRA projects from Confluence. If you are using JIRA for Change Management or are a development manager using JIRA to report on your scheduled releases, Team Calendars 2.0 is for you! 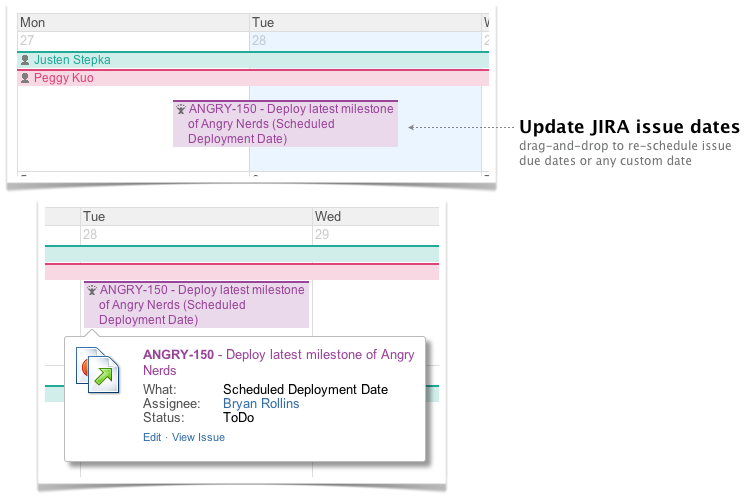 Dragging-and-dropping JIRA dates in Team Calendars will now automatically update the corresponding items in JIRA. We also now render the issue date in month and week views so you can clearly see what date you are modifying. Last release, we shipped support for embedding any saved filter in a JIRA calendar. 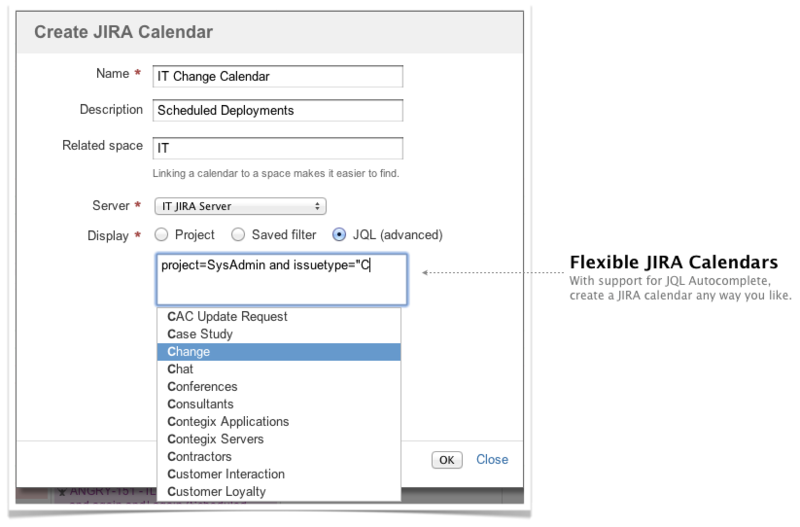 In addition to saved filters, we've also enabled you to easily create a JIRA project calendar with JQL. 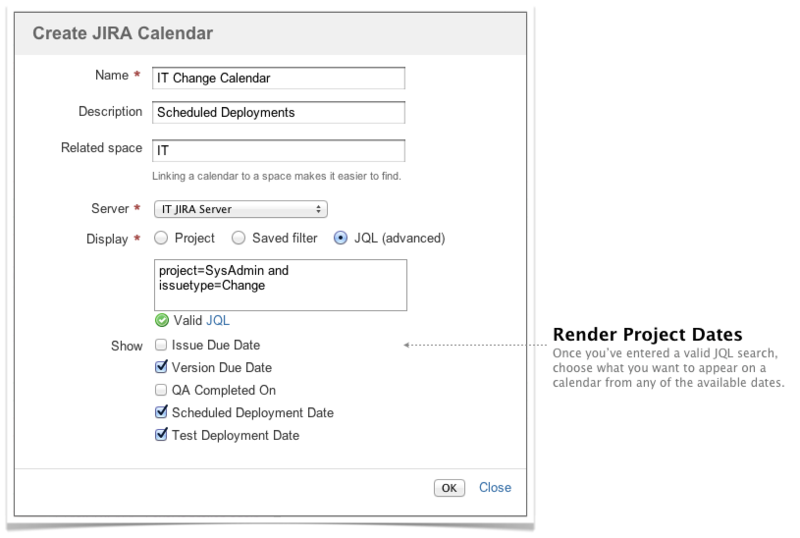 JQL support also comes with autcomplete suggestions, making it faster and easier to create a calendar. Alternatively, download the latest release from our plugin exchange and install it via the Plugin Administration screen. This should upgrade Team Calendars to 2.0.0 (or higher). In JIRA, simply click 'Upgrade' in the jira-ical-feed entry of the Plugin Administration screen. Alternatively, download the latest release from our plugin exchange and install it via the Plugin Administration screen. This should upgrade Team Calendars for JIRA to 1.0.5 (or higher). Note: The JIRA plugin upgrade is completely optional and not required if you are not using JIRA Calendars for Team Calendars. You can still upgrade to Team Calendars 2.0.0 if you are running earlier (supported) versions, however the two improvements mentioned above will not be pressent.